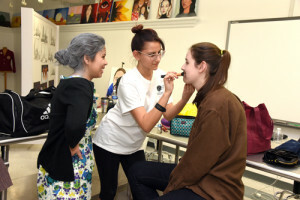 Completely student-produced from start to finish, Class Plays provide yet another fun opportunity for students to participate in a collaborative project. 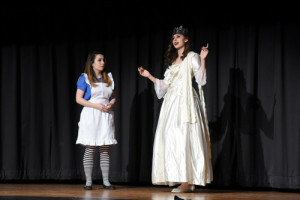 Class Plays were initiated in Holy Child Schools over 150 years ago by Cornelia Connelly, and are a highlight of the school year for all students. Each spring, each class selects or writes a one-act play and produces it from auditions to performance. Directors and stage managers are elected, auditions are held and sets are built. Rehearsals are conducted behind closed doors and the title of the play and identity of its cast members are kept secret until Class Plays Day. On this day, each class presents its play to the school community and a panel of professional theatre judges. Cornelia Connelly School is the only Holy Child school to continue this wonderful tradition.